Negotiation Skills for the Claims Professional is a straight forward, real-life approach to negotiations from the perspective of the claims professional. Short on complicated theory, and heavy on real-life situations, this book highlights many simple yet powerful approaches to the task of negotiating with customers and even attorneys. 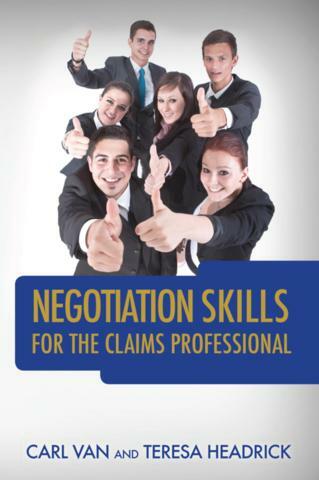 A series of Claims Negotiation Maxims, developed by Carl Van, are outlined and explained throughout the book. The authors continually remind the reader that claims is a customer service business, and the best claims negotiators treat people with respect and concern. With their combined real-life experience of over 75 years in the insurance business, the authors have the credibility necessary to guide even the most experienced claims professional to a better understanding of the negotiation process.